He look's at the assembled crowd before him and feels a building, a rising of emotion. In the corner of his eye a lonely tear bursts forth unbidden, trickling down his check, drawing lines in his weathered flesh. He leans forward. Scanning the crowd, he grips the wooden surface of the podium like a desperate fool hanging from the edges of a cliff. He scans faces, tries to read minds. How can he impart the full meaning of what he has seen? How can he communicate this emotion? How can he share this feeling? 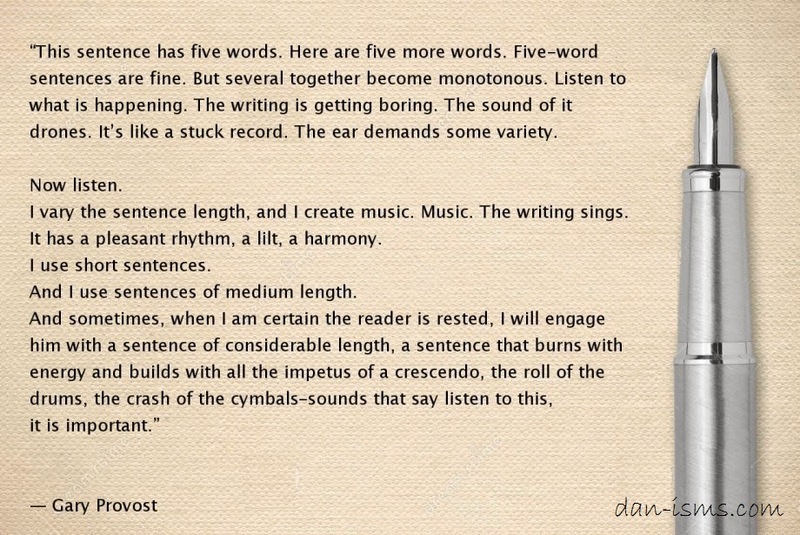 Beautiful... it's a writer's thing.